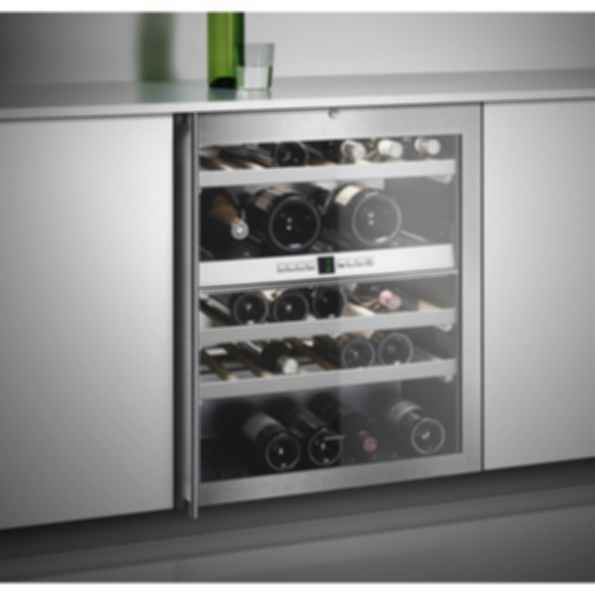 Wine storage unit RW 404With two independently controllable climate zones, the RW 404 enables restaurant-grade wine storage in an exceptionally small space. The wine climate cabinet is 24 inches wide and offers space for up to 41 bottles. Electronic controls ensure constant temperatures of between 41F and 64F.